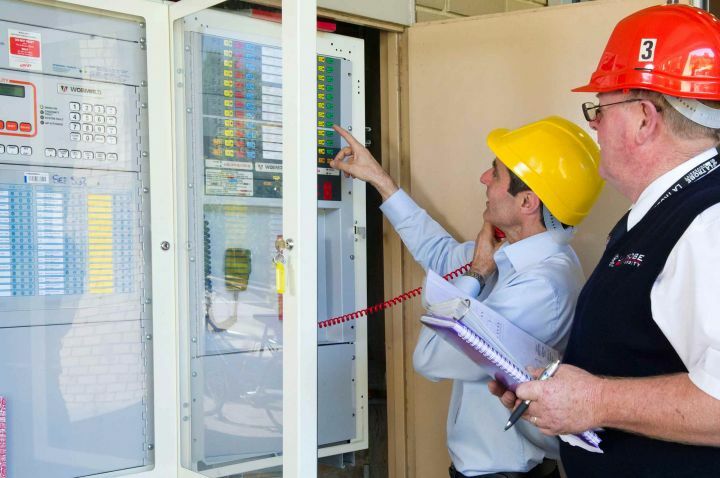 For emergencies where there is immediate danger and police, fire or ambulance is required, call 000. 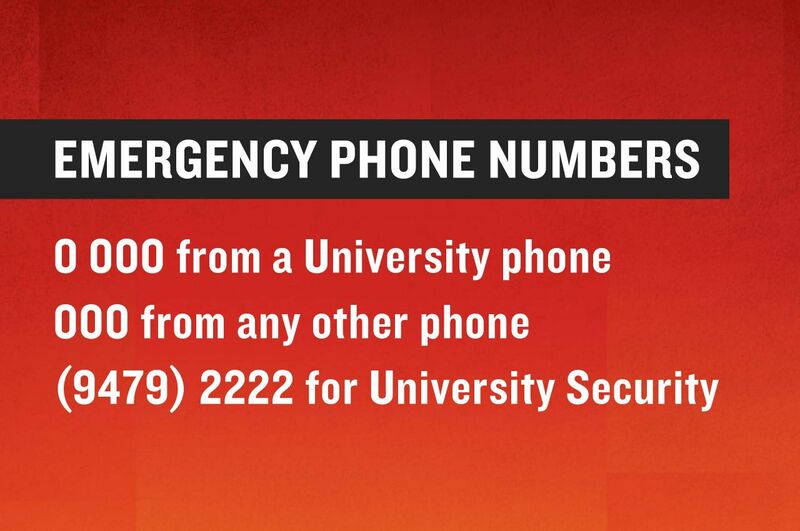 Then call University Security on ext 2222 or 9479 2222 from an outside line (24 hour response). Find your campus security contact numbers. Report an incident, hazard or injury. Floor wardens, first aiders, defibrillators and self-contained breathing apparatus (SCBA). 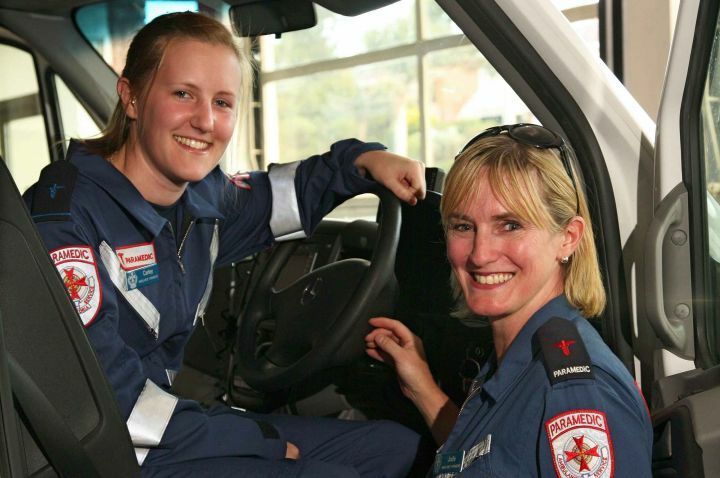 Tips for a safer journey to, from and around our Melbourne campuses. 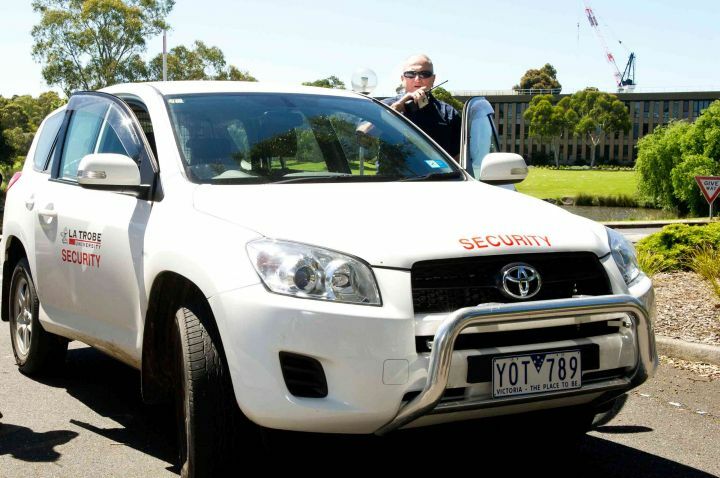 Tips for a safer journey to, from and around our Regional campuses.